Home>News of Machinery and Equipment > Is there such a thing as too much profit? One company thinks so. Is there such a thing as too much profit? One company thinks so. Fanuc is a group of companies located across the globe, headquartered in Japan; Fanuc is one of the world’s leading producers of autonomous products and services such as robotics and computer numerical control systems. The primary consumers of Fanuc products are those of US and Japanese automobile and electronics manufacturers. Due to the robotics provided by Fanuc, Panasonics factories in Amagasaki can produce 2 million televisions a month… with just 25 employees. 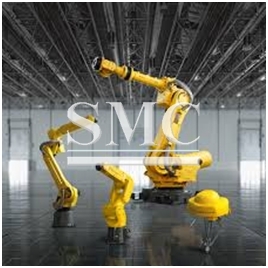 Fanuc is the global leader of factory automation systems. However, recently instated president Kenji Yamaguchi has said that a company can indeed make too much profit; this was said referring to the fact the company made 43% profit in 2011. Fanuc are without doubt the one of the biggest suppliers of factory equipment and therefore, it must be of concern that China, the biggest manufacturer in the world is showing it’s worth growth rates for two decades. When reaching profit levels of 43% in 2011, Fanuc was every investors dream; however Yamaguchi has warned investors to not be expecting those rates anytime soon. Yamaguchi even controversially admitted that there is perhaps such thing as too much profit, he stated that if you are making that much money, you are probably not investing enough into the company’s future. To confirm that Yamaguchi was not bluffing, Fanuc have now ventured into a series of investments that might not necessarily reach profits for 5 or 10 years, and last month Fanuc announced it had purchased land for a new industrial robot factory and Yamaguchi said it plans to spend several hundred million dollars to as much as double its production capacity for them. In May, the company completed two new research centers at its headquarters. To staff them, Yamaguchi said Fanuc more than tripled its hiring of engineers over the last few years to about 100 annually. Overall, headcount has grown by more than 1,000 since 2013, a 20 percent increase. Well, Fanuc are not holding back and as the world becomes more involved in autonomous motors with the latest announcements, you can only think that Fanuc are going to have a big role to play in the advancements of the autonomous industry.